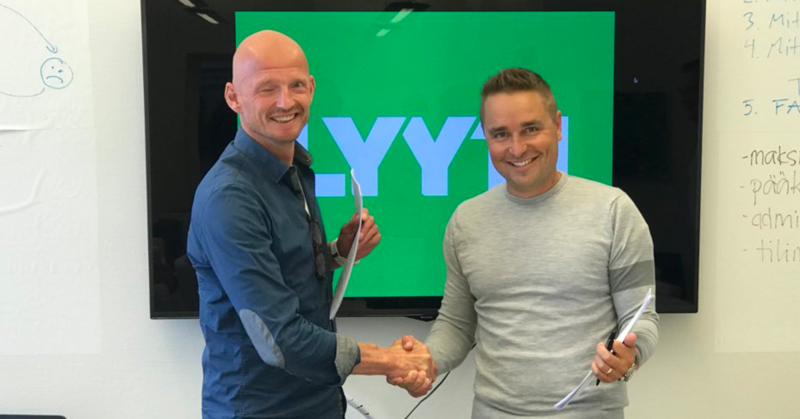 The event management software company Lyyti, from the Finnish city of Turku, continues expanding abroad. From the beginning of October 2018 Lyyti has been active in the Netherlands. Lyyti Oy, founded in 2007, has grown continually for 11 years. The expansion strategy of choice is a franchising model, which is somewhat unusual for a SaaS-company. “On top of experience in the event management field, success in a brand new location requires deep insight into the local market and business culture, solid networks and good language skills. That’s why we’ve chosen to work with a local entrepreneur. We support the local entrepreneur by providing the technology, the product, support from the Finnish marketing, sales and customer success teams and our unique brand of company culture. The entrepreneur handles localisation of marketing materials, sales processes and the local customer support. It’s like a keys in hand-deal. We’re aiming to start upthis way in about ten countries within a few years”, says Petri Hollmén, CEO and founder of Lyyti. The first Lyyti franchise started in France in the spring of 2017, and now it’s time for the Dutch franchise to get up and running. The company fromerly known as Event Assist has exchanged it’s event management technology for Lyyti and will be operating under the Lyyti brand from now on. Marcel Eilering, the CEO of Lyyti Nederland, has over 10 years experience in the Dutch event field. “We came a cross a growth-driven team whose business model and values matched those of Lyyti. They were in need of modern, secure and scalable event technology to secure their growth and we could provide just that. Franchising was the perfect solution”, Petri Hollmén notes. According to Hollmén, international expansion has been in the sights since day one. A service that facilitates good and efficient event management isn’t reall bound by region or culture, so there’s room to grow. Lyyti France has progressed at the rate it was expected to, and the bar has been set high for Lyyti Nederlands as well. “The Dutch market is twice as big as the Finnish market. Another motivating detail is that there are a few smaller players in the event management field, but no clear market leader. Lyyti Nederland aims to become that market leader within three years”, Hollmén says. This year Lyyti’s turnover will pass the 4 M euro mark. For the moment, the foreign markets provide roughly 15% of the total turnover. On top of the franchises, Lyyti operates in Sweden and Germany and is the most popular event management software in the Nordic countries. Lyyti’s main goal is to make event marketing an efficient, strategically important and measurable part of every company’s marketing process.